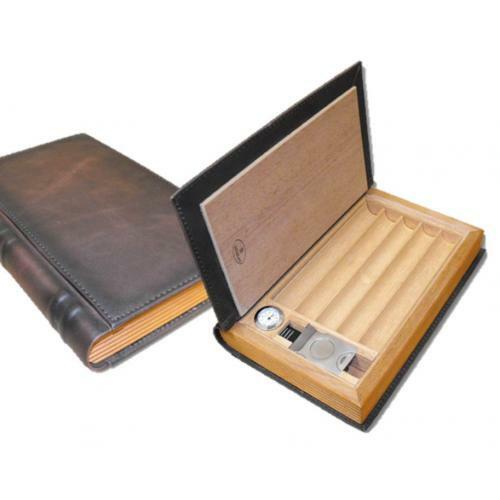 Book style, wooden base, brown faux leather covered travel or desk top humidor. Suitable for the office desk top or while travelling. Includes humidifier, hygrometer and chrome cigar cutter. 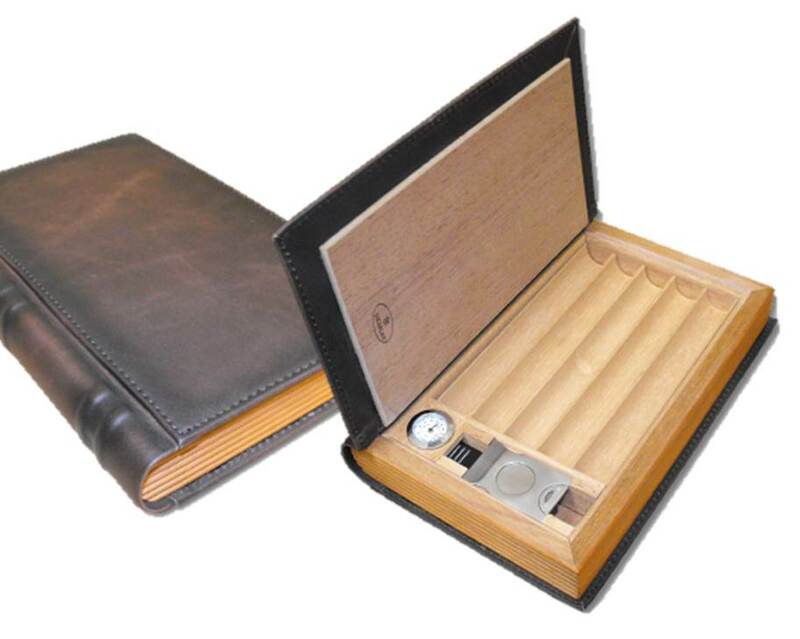 Internal dimensions to fit cigars up to 17cm or 6 1/2”.